In order to give optimal attention to each pupil, Llama Education teaches in small groups. Students can choose either one-to-one tuition (recommended) or to learn with another student. The maximum number of students we will teach in a group is six as this allows for more rapid progress in learning Spanish. The main language for tuition of students is Spanish but, if necessary, explanations will be given in English. 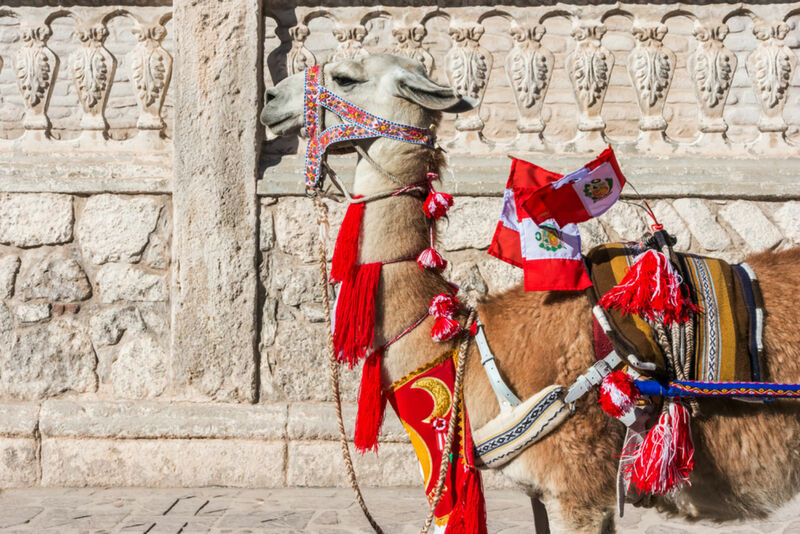 The books that Llama Education uses to help students explore the language include information about Peruvian culture, history and customs. The standard program consists of four hours of lessons from Monday to Friday. Two hours in the morning from 8am – 2pm which include learning the theory of the language (e.g. tenses and grammar rules) with a specialist teacher, and a further two hours from 3pm – 8pm taken with practical study. The practice sessions are conducted by a second (different) teacher who helps students to apply what they learned in the morning session by engaging them in conversations about Peruvian life, including history, cooking, and culture. Some practice sessions may take place, if the student wishes, outside of the school. The classes last for the full two hours. If students prefer to study for a block of 4 hours either in the morning or the afternoon to allow more time for sightseeing this can also be arranged. In this package students can combine their studies in two Peruvian cities, Arequipa, and Cusco the imperial capital of the Incas. Students study for 4 weeks (2 weeks in each city) and gain a certificate from the Peruvian Ministry of Education. Language Center in Cusco is one of the city’s oldest and finest institutions with over 15 years experience in teaching Spanish. Accommodation and meals with the founder family in Arequipa plus 4 hours of daily classes. Whilst in Cusco students stay with a local family who provide accommodation (including private bathroom) plus 3 meals a day: breakfast, lunch, and dinner. Students receive 4 hours of lessons a day. This offer is available to a group of up to 4 students at $780 per person. This intensive program lasts for 4 weeks and is the latest addition to our range of Spanish courses. In this program students spend 3 weeks in Arequipa studying for a total of 70 hours, and then 8 days and 7 nights in Manu. Whilst in Manu students take 2 hours of Spanish lessons each day. In total there are 80 hours of classes. A teacher from Llama Education, who is familiar with Manu, travels with the student(s) and also acts as a guide to the area. We work with one of the best Manu tour operators – Atalya Peru. Their owner, Magdalena Ruiz, will also be in contact with your chosen Spanish teacher during your stay there to ensure that you are happy with your experience. Maria, the school’s owner, may also travel with the group to supervise arrangements and to ensure that you settle comfortably into your new environment. Llama Education is a regular participant in language teaching training courses and is currently completing a Master’s course to obtain a degree as a teacher of foreign languages at the Iberoamericana University of Spain. We are sure students will warm to Llama Eduction immediately. Like the school´s founder, Maria, teachers is sensitive to the needs of each student, and understands personal differences in ability. Maria can tailor the material presented so as to enable each person to learn Spanish effectively in as little time as possible. The courses are interactive and personalised — tailored to suit the requirements of each student. Course material will be determined by the level, experience, and interests of our students. All of our teachers have a lot of experience iteaching Spanish to foreign students. We encourage students to practice the language to help build confidence and develop fluency; focusing upon grammar and writing skills. The courses are interactive and personalised – tailored to suit the requirements of each student. Course material will be determined by the level, experience and interests of our students.